The Franciscan history in the Holy Land already sets in at the beginning of the 13th century with St. Francis’ journey. In times of war around the crusades, he sought a way toward peace through his encounter with the sultan of Egypt. In 1342 the Friars Minor became officially entrusted with the guardianship of the Holy Land in the name of the Universal Church by papal bull: a legal recognition to the Custody of the Holy Land which was soon after, in 1347, acknowledged by the Mamelukes. Ever since, the ‘friars of the cord’ have ceaselessly aided pilgrims and watched over the Holy Places, frequently in dramatic conditions, providing a continuous and courageous testimony up to the present day. The History exhibition will recount such events by displaying rare collections of sculptures, paintings, goldsmith’s work, illuminated manuscripts, liturgical vestments and outfits, archival documents, armours, rare pharmacy jars, etc. Many of the objects are gifts donated in the 16th and 17th centuries by royalties of various kingdoms in Europe, republics in the Italian peninsula and the Papal States. Such gifts showed the donor’s devotion to the Holy Places and his or her support the Custody. The exhibition will be organised around the three historical ‘missions’ of the Franciscans in the Holy Land: guardianship of the Holy Places, welcoming of the pilgrims and support to the local community. The display of the historical, documentary and artistic heritage will make this exhibition a valuable tool for understanding the meaning of pilgrimage to the Holy Land and the role the Franciscans have played in its history, in the name of the Universal Church. 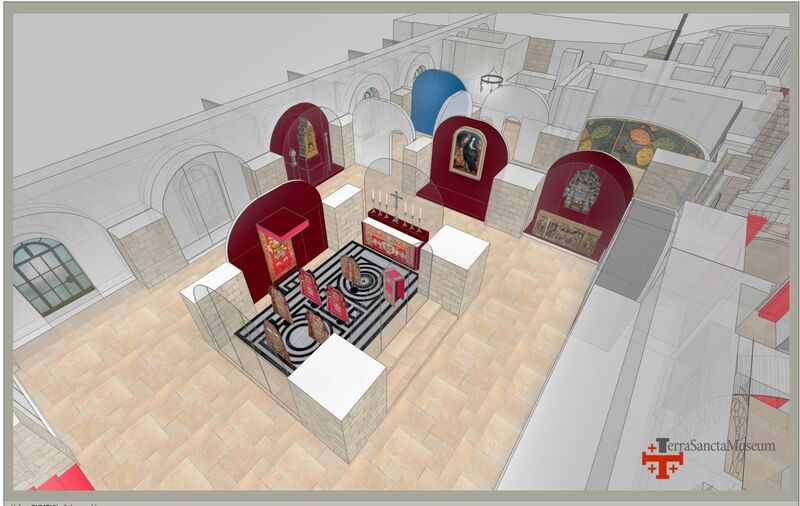 Since September 2016 an international scientific committee, presided by Béatrix Saule (director emeritus of the Museum of the Castle of Versailles), is working both on the fund raising and definition of the project for this section of the Terra Sancta Museum. View a selection of works of the history collections.